New Delhi: Since Wednesday, when the Narendra Modi government got economic offenders and fugitives Rajiv Saxena and Deepak Talwar extradited from the United Arab Emirates (UAE), lakhs of internet users have searched for their antecedents on Google, Yahoo, Bing, etc. So, here are the crimes the law-enforcement agencies allege they have committed. Rajiv Saxena and his wife Shivani Saxena reportedly own companies named Intersellar Technologies (Mauritius), UHY Saxena (Dubai) and Matrix Holding (Dubai). Well known in the power circles, Rajiv allegedly played an important role in the AgustaWestland case. India’s top two premier agencies CBI and ED are investigating the bribery angle in the AgustaWestland deal. In 2014, cases were registered against Saxena, including a case against the PMLA which named 21 people including then IAF chief SP Tyagi. The Indian government cancelled the contract with Finmeccanica's British subsidiary AgustaWestland that was made for the purpose of procurement of 12 AW-101 VVIP choppers by the IAF. 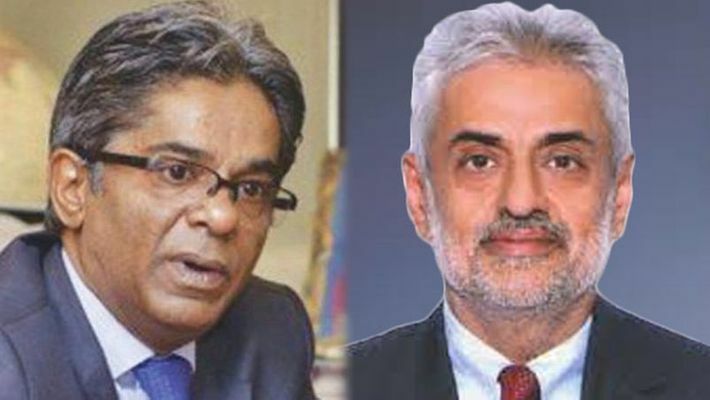 The ED, in its charge sheet, claimed that Saxena’s company received kickbacks from Gordian Sarl (Tunisia) and IDS Technologies (Tunisia), a firm allegedly set up by another accused in the AgustaWestland chopper case, Gautam Khaitan. According to the allegation, main company AgustaWestland International Ltd, based in the UK, had paid an amount of € 58 million through Gordian Services Sarl and IDS Sarl, both based in Tunisia. Gordian Services Sarl and IDS Sarl further misappropriated the money by giving consultancy contracts to Interstellar Technologies Ltd, Mauritius, whose beneficiary turned out to be Saxena. The money was further transferred to other two companies belonging to Saxena’s wife who owns UHY Saxena, Dubai, and Matrix Holdings Ltd, Dubai and others. Saxena’s wife Shivani Saxena has been already arrested. Saxena will be cross-examined and confronted with Christen Michel and other accused in the AgustaWestland case. It is likely Saxena may reveal some big names that played an important role in the alleged scam. Deepak Talwar is an aviation consultant who also associated with an NGO called Advantage India. A case was registered against him in 2017 for misusing more than Rs 90 crore taken though foreign funding claiming it to be money under the corporate social responsibility (CSR). According to the FIR filed by the CBI, a written complaint was received from the home ministry’s FCRA wing, which deals with NGOs. The MHA requested CBI to conduct investigation against Advantage India, Accordis Health Care Pvt Ltd, Deepak Talwar, Sunil Khandelwal, Raman Kapoor, T Kapoor and other unknown persons. A case was registered under multiple IPC Sections as well as the FCRA Act. Talwar’s NGO received foreign funds of about Rs 90.72 crore from 2012 to 2016. “Advantage India, New Delhi, has violated various provisions of FCRA Act 2010, It is a fit case for detailed investigation and criminal prosecution if found fit,” MHA said in its complaints. The association made a payment of Rs 4,92,89,993 to two publishers Capital Print Process Pvt Ltd, Chandigarh, and Capital Impex Ltd, New Delhi, for the procurement of huge quantities of exercise note books without following quotation or tender process. The above are instances of violation of Section 12(4)(vi) and Section 33 of the FCRA, the MHA said. Investigators are expecting to get crucial evidence in the cases with which they would confront Deepak Talwar and others accused. Some big names, including those of some journalists lobbying during the UPA era, are likely to be out soon.